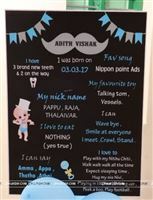 There’s nothing in the world like the sweet smile of your little baby boy. 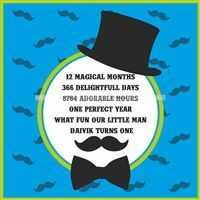 This dashing little guy has captured the hearts of everyone in the family and brings joy to anyone he meets. 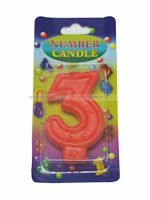 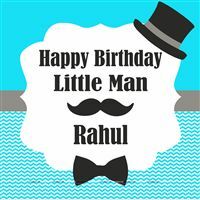 So if you want to make his upcoming birthday a very special one, you can consider throwing a fun-filled Little Man themed birthday party. 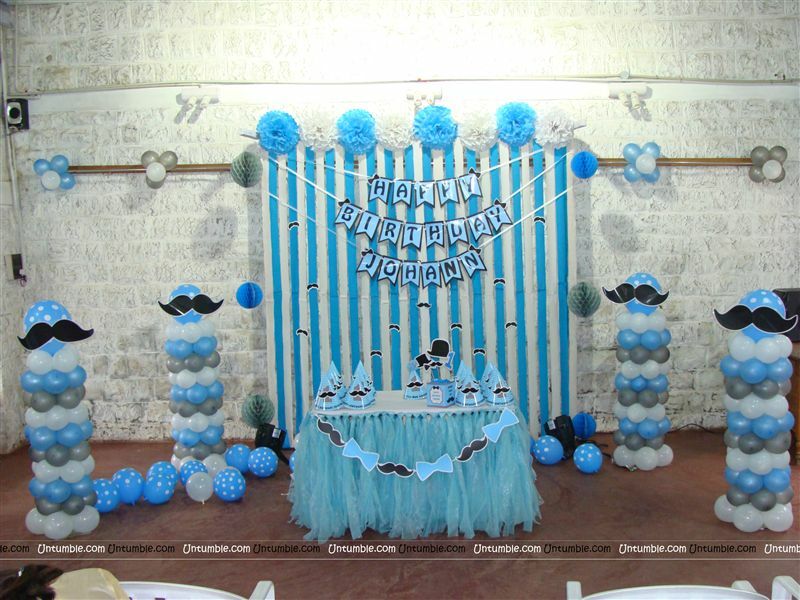 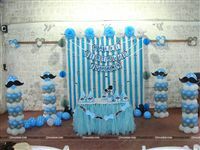 This cute theme is perfect for young boys and even more so for a first birthday party. 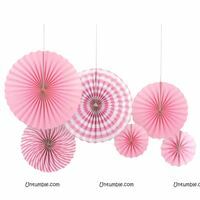 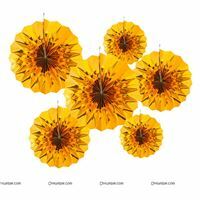 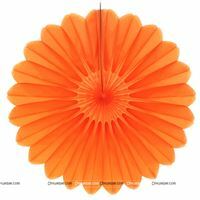 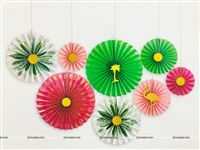 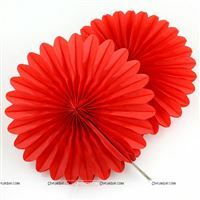 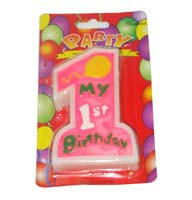 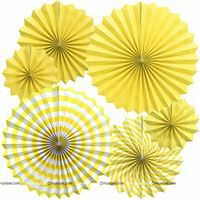 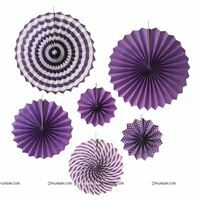 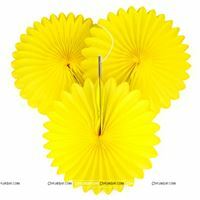 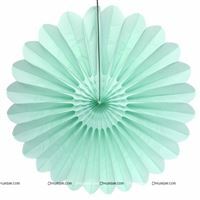 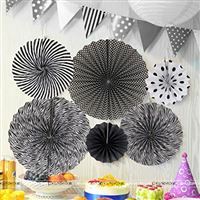 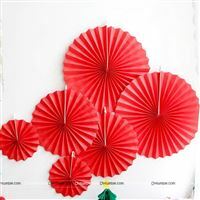 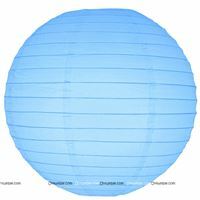 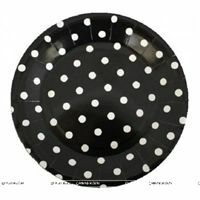 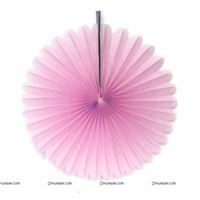 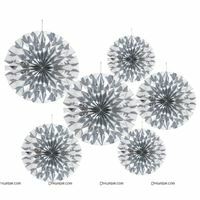 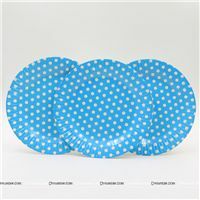 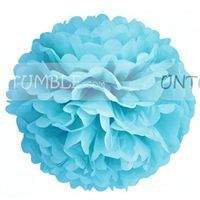 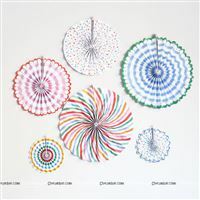 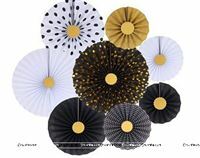 We have all the decorations, accessories and supplies to make this theme party a smashing hit. 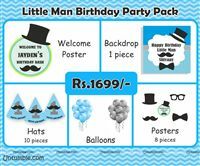 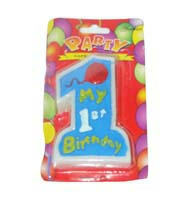 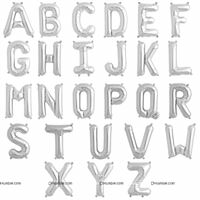 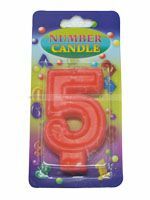 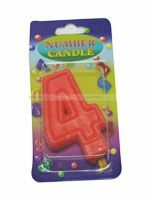 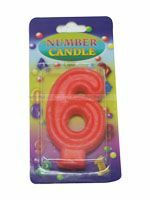 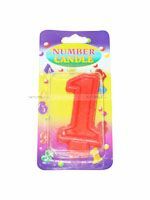 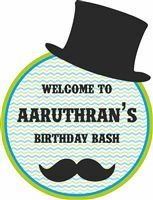 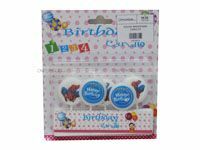 Our birthday party items includes everything that you need to throw the perfect theme party for your boy. 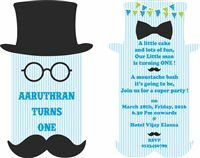 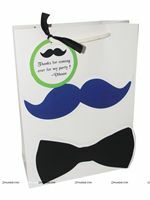 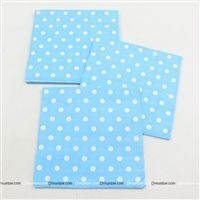 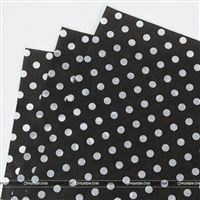 All these supplies have images of moustaches, bows, spectacles or ties for a fun touch. 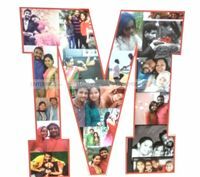 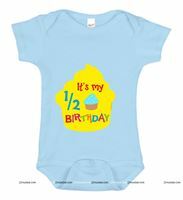 What’s more, you can customize them with your kid’s name, age or other snippets of text. 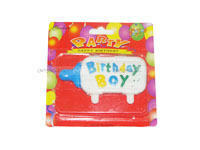 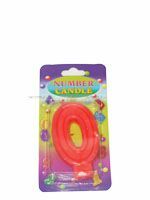 This will make your son’s birthday memorable and enjoyable. 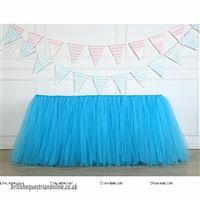 We have cute little moustache and bow buntings, as well as a ‘happy birthday’ bunting banner. 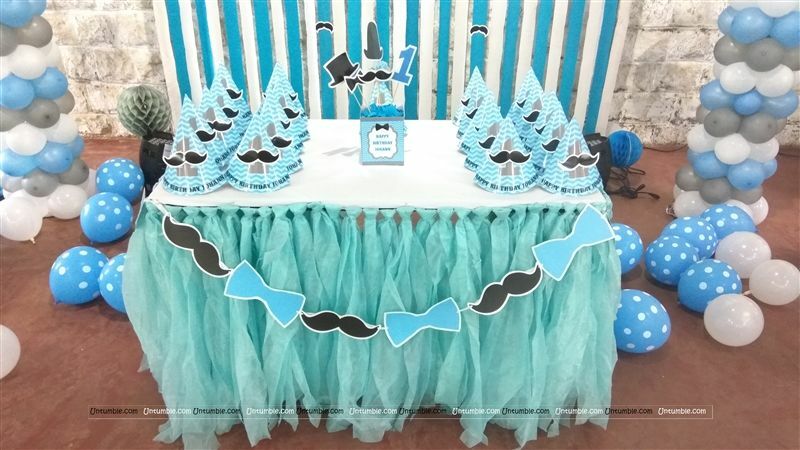 Our moustache and bow centrepieces are perfectly matched with the buntings and will add flair to your centre table. 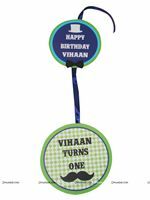 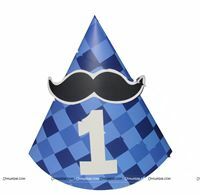 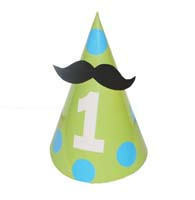 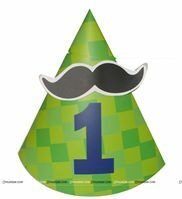 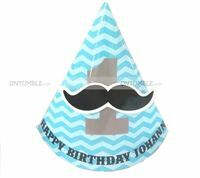 Kids will love wearing the cute party hats that are embellished with a moustache cut-out. 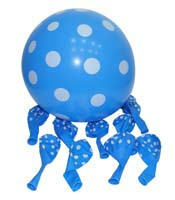 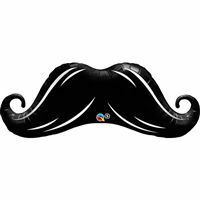 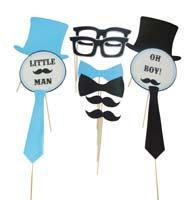 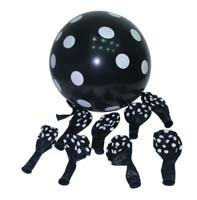 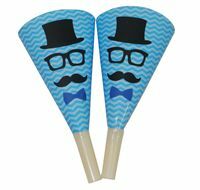 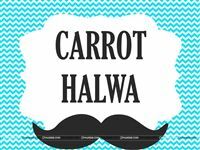 We also sell humorous photo props that include ties, hats, spectacles and moustaches for the kids to pose with. 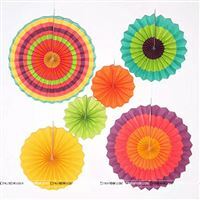 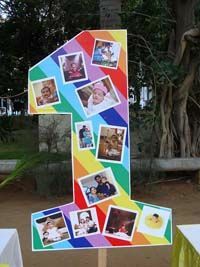 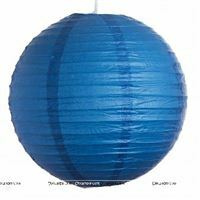 Little children will enjoy getting their pictures clicked with these. 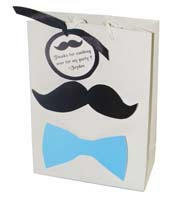 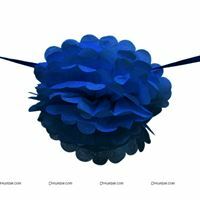 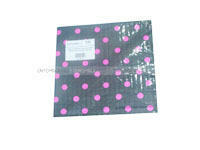 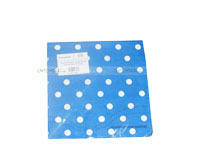 Send them home happy with our sweet favour bags, packed with candy, toys or other small giveaways. 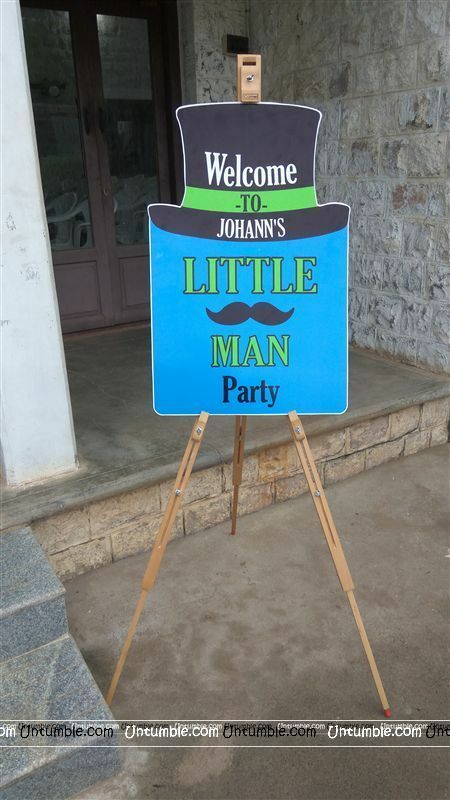 No party is complete without games. 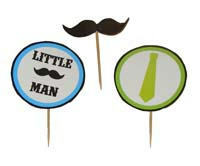 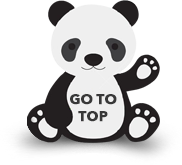 Add to the fun and entertainment with these interesting kids games based on the Little Man theme. 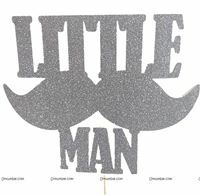 Pin the Stache on the Little Man: A fun twist to the classic pin the tail on the donkey game. 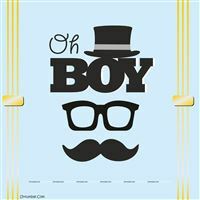 You have to get a large sized printout of your boy’s photo and mount it on cardboard, then hang it on a wall. 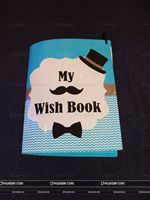 Then you blindfold the children and give them a cut out of a moustache attached to a push pin. 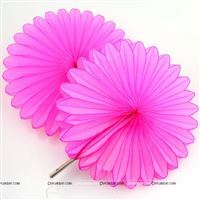 They have to come one by one and try to pin it in the right place on the face without looking. 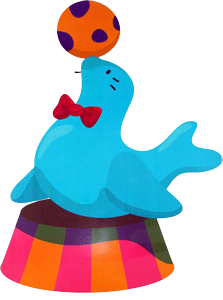 The child that pins it correctly wins the game. 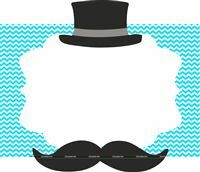 Guess the celebrity:Print out pictures of famous male celebrities with moustaches and cut off their faces from the eyes and above. 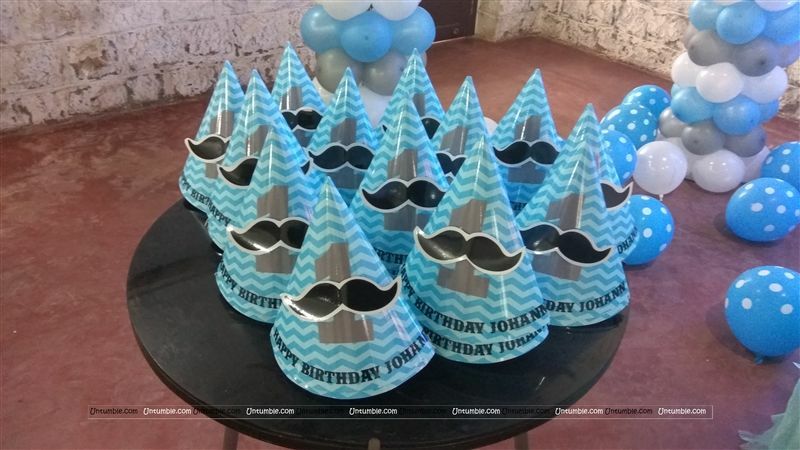 Give the guests blank cards to guess the names of the celebrities. 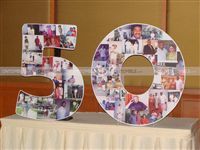 At the end of the game, collect the cards, reveal the correct celebrity names, and hand out a prize to the participants who got all names right. 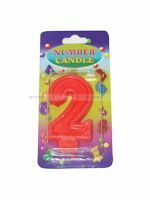 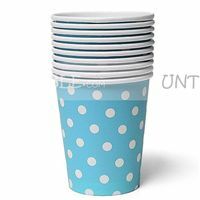 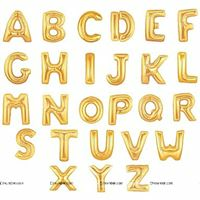 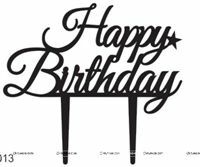 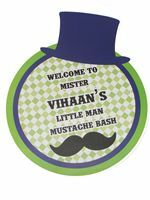 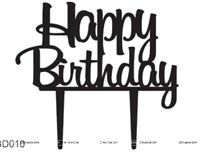 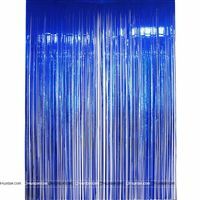 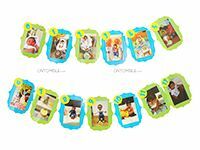 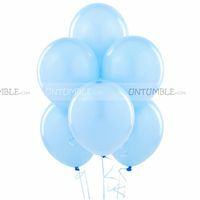 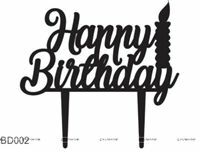 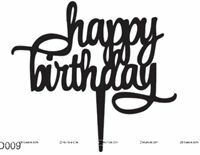 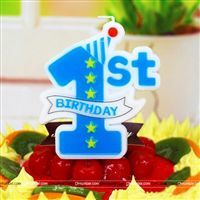 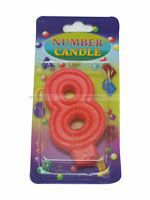 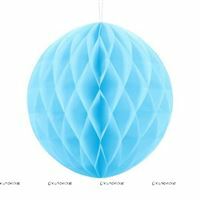 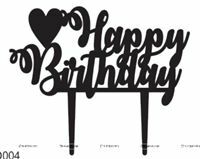 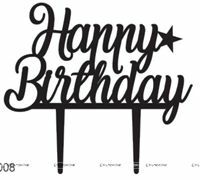 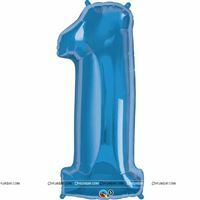 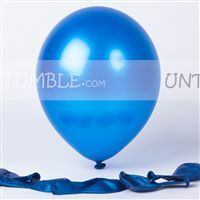 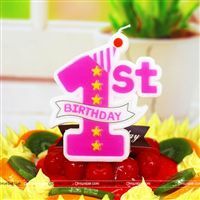 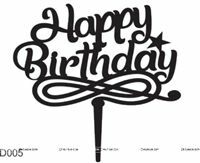 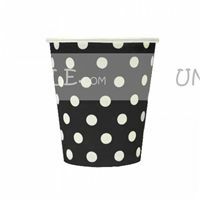 Your son’s Little Man birthday party will be a fabulous one, when you get the decorations and customized birthday party supplies from UnTumble. 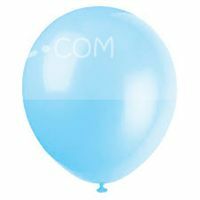 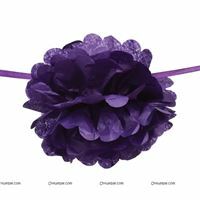 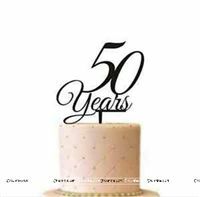 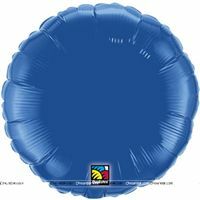 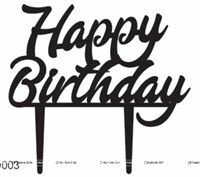 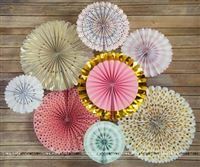 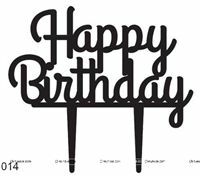 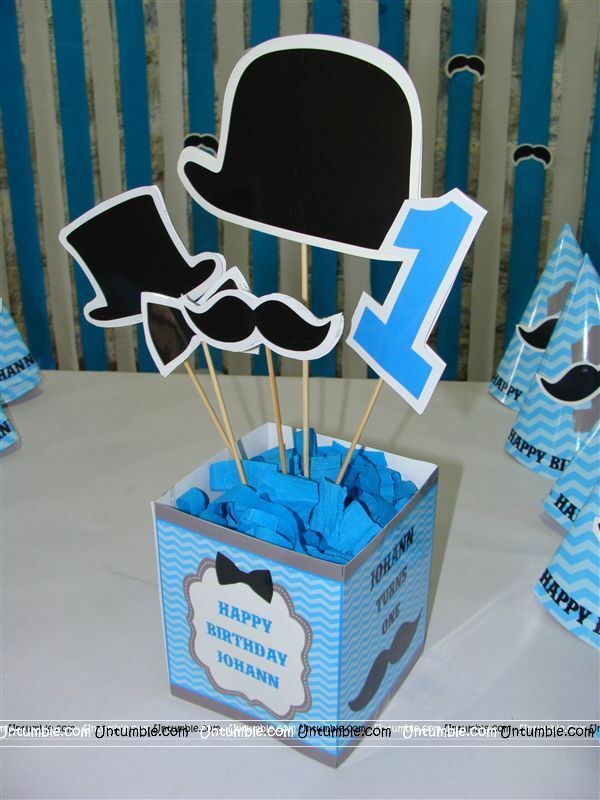 Browse our products and get your party planning started today! 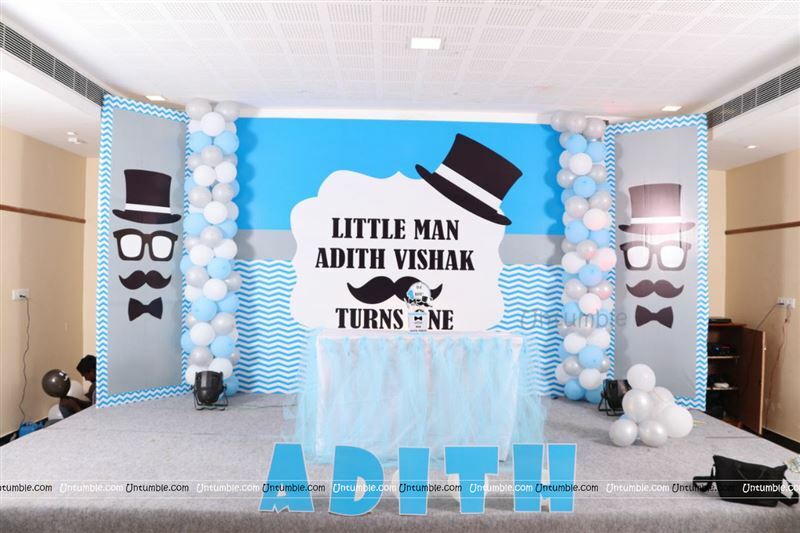 Stage setup includes a main backdrop, two side wings on either side, a tutu cover cake table with a center piece and the baby name alphabets cutouts. 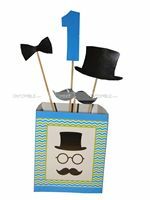 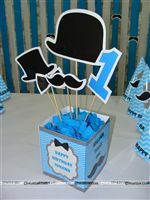 Box type Little Man center pieces with bow tie, Mush, No 1 and hat toppers. 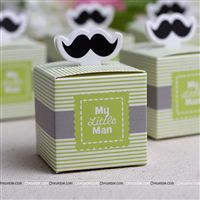 Baby name personalised on the box. 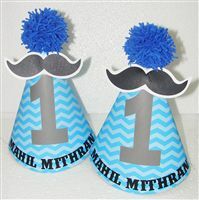 Moustache themed hats personalised with the baby name set on a table for kids.